The tailored and elegant body makes METRO easy to use as well as beautiful to the eye. The shapely and functional spring-loaded clip literally flows from the top cap to secure the pen to your pocket. 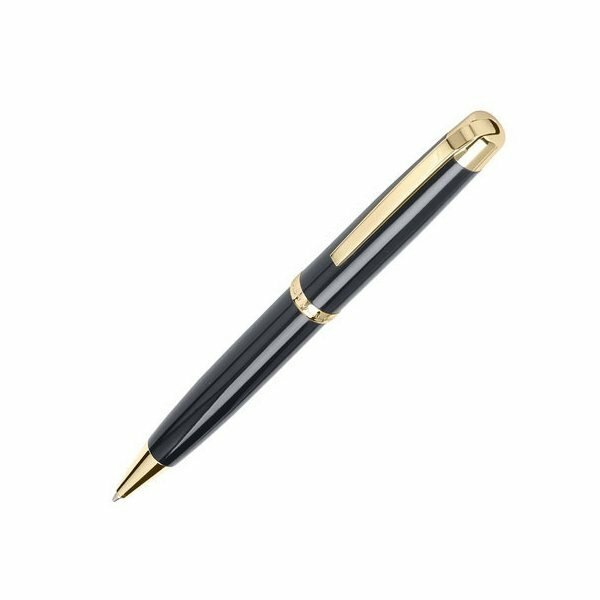 Twist-action brass ballpoint pen with black lacquer finish and goldtone chrome points and trim. 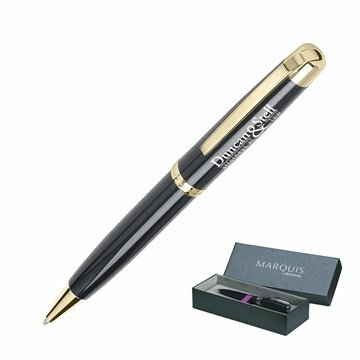 Packaged in an elegant black "piano finish" wood gift box. Everybody was satisfied. Our employees were happy with this product! Good quality. Excellent value for cost. Excellent imprint. Great product for the cost. Looks very professional... I ordered this product a few years ago. It was terrific. It has held up very well. The fabric is excellent, they're thick and robust, the printing is beautiful.